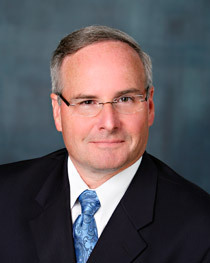 Ted has been serving the Pacific Northwest as a financial advisor since 1997. After receiving his degree in Finance and Marketing from the University of Washington, Ted obtained his securities registrations; Series 6, 63, 7 and 65 as well as licenses for Life & Disability insurance while specializing in retirement money management. Ted is part of the Advisory Team here at Multop Financial, working alongside Phil and Aretha to bring durable portfolio solutions to our clients. Ted serves as Multop’s on-site 401(k) leader, assisting business clients with employee programs and benefits. Although born and raised in Seattle, Ted and his wife, Susan, moved to Bellingham in 1989. His love for NASCAR events, specifically the Daytona 500 Speed Week, takes Ted to Florida and other sunny vacation spots whenever time permits. His regular hobbies include skiing, golf and running. For a complimentary consultation or for a review of your company’s 401(k) plan, please contact Ted using our Contact Form. * Ted Newman is a registered representative of LPL Financial, Member FINRA/SIPC.